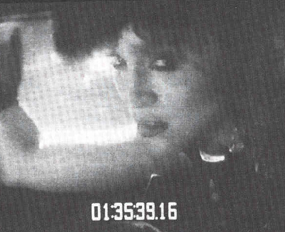 Madonna may have made some adventurous videos as of late, but this trend started way back in 1984! 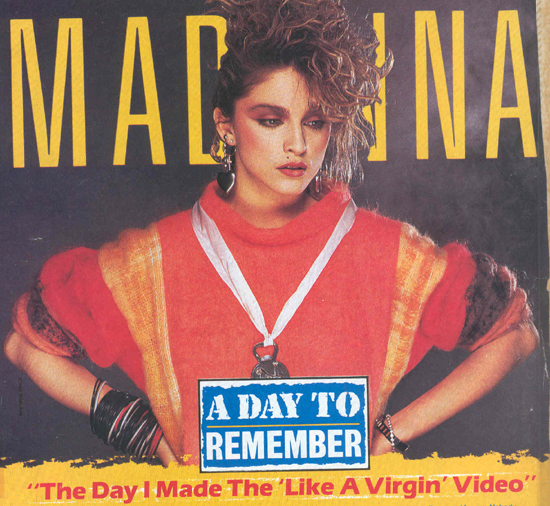 Taken from Madonna herself, we learn what it was really like to film the video, "Like A Virgin". Now, as you are enjoying your Thanksgiving meal, be glad you weren't in Venice face to face with a lion! 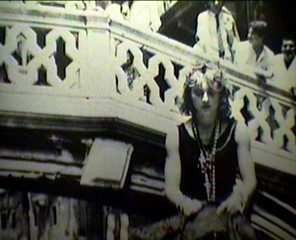 "In Venice , where we filmed the video, they have Carnivale where people wear masks. Well, the video goes back and forth between modern day me in New York and ancient me in a bridal gown in Italy . It starts out in a boat in Manhattan and when I get off the boat I’m in Venice . It’s kind of like a dream. We filmed in these ancient ruins in Venice with pillars and marble buildings. There was water all around us; we were working on this piece of land that jutted out into the Grand Canal . So I’m leaning up against this pillar with this white gauze all over my face like a veil and I’ve got this long white dress on. The lion tamer is over there behind the camera man and he’s coaxing the lion so he’ll walk over on my right side. Then I’m supposed to lift the veil and we’re supposed to look at each other- like it’s an animal-but-man that I’m attracted to. We were supposed to look at each other then he would keep walking toward the lion tamer. Well, the lion didn’t do anything he was supposed to do. I kept waiting for the lion to come up on my right side, trying to pretend I was relaxed and not nervous… then all of a sudden I felt this nudge up against my left hand side. I looked down and the lion is like RIGHT THERE in my crotch! I was really frightened because I thought he was going to take a bite out of me. He wasn’t supposed to get that close. So I lifted my veil and had a stare-down with a lion! We just glared at each other for three-quarters of a minute. Then he opened his mouth and let out a huge roar. I got so frightened that my heart fell in my shoe. 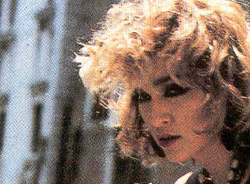 And the camera man, the director and everybody else, like they were really scared for me. Nobody expected that to happen. Meanwhile, the tamer ran over screaming “Charlie, Charlie” – that was the lion’s name – but Charlie wouldn’t do what he wanted. You know how you’re supposed to not be afraid when you’re around wild animals cause they’ll attack you if they can feel your fear? I tried to think that it wasn’t a lion but just someone curious about me. That got me through it and eventually the lion walked away from me. When he finally got away, the director yelled “CUT!” Then the lion tamer wrestled with Charlie. The tamer was this big burly guy who didn’t wear a shirt and he got the lion ground and started wrestling with him. Charlie worked the rest of the day, they did segments with him just walking around and laying down and stuff. Sure, I might do something with animals again, it was fun. But I could really relate to a lion. I feel like in a past life I was a lion or a cat or something."